Villager #1 – Before we became Christians, our village was known for quarreling with our neighbors. Outsiders said that you could hear us fighting even before you entered. Neighbors would fight from sun up to sun down. We were really terrible then (congregation nods in agreement). Another villager later told us that she had been one of the absolute worst, and raised her hands to show her ability to fight. The other villagers found this hilarious, but it seemed pretty obvious that she was one tough old lady. 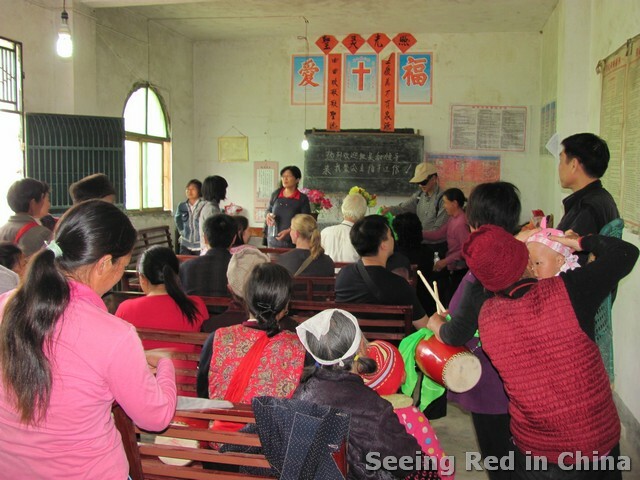 Then one of our villagers met the minister from the nearby town and became a Christian (this minister was Chinese, he had been converted by another Chinese minister in the 80’s). When the others saw how happy she was, they wanted to become Christian too. Now almost the whole village has become Christian, and we no longer fight with each other. Things are much better now. We even received an award from the local gov’t for being a harmonious village. The Lord has blessed our village in many other ways as well. For instance, because we are located high on the cliff, and we only recently had a road built, we used to have to lower caskets down by rope for burial. From time to time, the casket would tip over and the body would come tumbling out, it was a terrible misfortune for the family. Since we became Christians though, this has not happened a single time. Minister from the nearby town – When the villagers from this place first started coming to my church, it took them nearly 6 hours to get to the chapel. 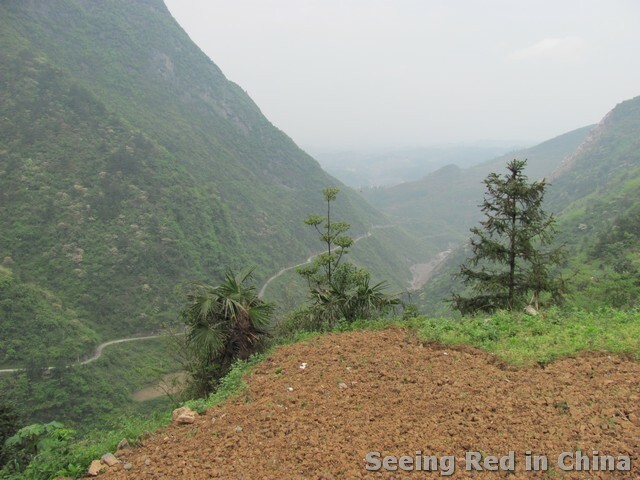 This was because there was no road to the village, and so the trip was not only difficult but dangerous. When I learned about this I contacted a Christian charity for help. The charity then worked with the local gov’t to secure the funding for the project, but to keeps costs low, the villagers had to work together. Even though they weren’t fighting with each other as much during that time, they were still too busy farming to work on this project. One day though, this woman (a woman missing one arm comes to the front of the church), picked up a bucket and started working on the road. When the others saw that even this disabled person was willing to work, they knew they had no valid excuses (at this point, most of the people in the church were crying, including the woman). Now that the road has been built it is not only much easier for them to come to the city for church, but they can also reach emergency medical services and sell their goods in the market. This is truly a precious gift from God. Lay Leader responding to a question about literacy – In our village we have very few people who can read. Most of the young people have left (the ones who could read), and so it can be difficult for new believers to understand the Bible’s teachings. One of our members was so determined to learn the lessons, that she had her husband read her passages from the Bible every night until she memorized most of the important texts. Even though she can’t read, the others in the church know that if there is ever a question about the scripture, she can always recall the whole verse. Another woman’s husband decided that he could teach his wife to read while she worked. So every night he would copy a verse in large characters for her. Then when she was plowing the fields, she would attach the verse to the back of the cow and study the characters one by one. Now she is one of our church leaders. So even though most of the members can’t read, all of the members can access the Bible in one way or another. We also spend time before each church service learning all the songs for the day. Minister from nearby town answering a question about whether or not he’d ever had trouble from the local gov’t for being a Christian- One time in the late 80’s, shortly after I became a Christian, I saw many young people on a motorcycle and they seemed to be prostitutes. I thought this was something that the gov’t should control, and so I made several large-character posters encouraging them to take action. “Who told you to do this?” they said. “I did it by myself,” I replied. “Why are you against the Party?” they asked. I was very confused though, because I had never said anything against the Party, I was just encouraging them to uphold the laws. After several more rounds of questioning, I finally realized that these officers had never even seen the posters. Someone had simply reported to them that I was putting up signs by the gov’t buildings, and that I had never done this before I was a Christian. In those days, that was enough to get you into a lot of trouble. Once I recognized this and explained to them what the signs had actually said, they were very embarrassed that they had questioned me about them, and assured me the gov’t would look into this case. By T in Economy & Development, Religion on May 21, 2012 . Your posts are just so interesting. I’m glad I discovered this blog. I hope Christianity doesn’t spread in China, Christianity destroys culture. Christianity is just one of the many religions where similar things are taught. How did you come to the conclusion that “Christianity destroys culture”, Flanders? If this statement is valid, why did the villagers recieve a reward from their own government for being “harmonious” after many of them became followers of Jesus Christ? screw you and get your crappy religion out of china. this makes me sick to my stomach. 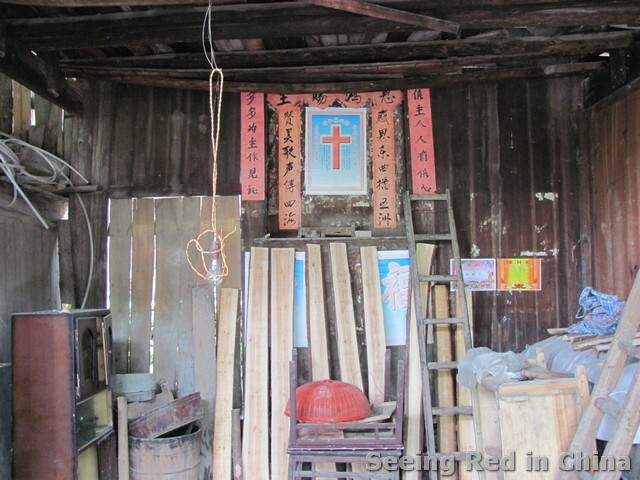 christianity has no business in china. buddhism is inextricorably a part of chinese culture and youre going to end up wiping our this countries identity. stop trying to convert the whole world and get your garbage out of their country. Incredible when you consider that the biggest dinosaur fossil in the world was discovered not too far from there. This report really highlighted the importance and significance of bearing witness personally in your own community. Let your deeds spread the word.